Form: Rounded shape. Branching is upright and spreading, eventually arching over. Use: Good tree for city conditions, plant 'Princeton Upright' or Regent varieties. Where can I find this tree in Glen Ridge? Unknown. 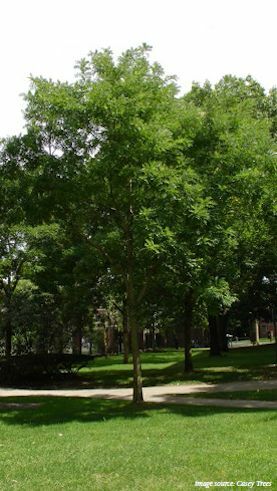 Pagoda tree was not identified on the 2013 tree inventory.